The city that played a significant historical role for more than 1.000 years welcomes you. Prague has monuments of great significance and a variety of cultural attractions from museums to theaters that will help the visitor write his own travelling book because this fantastic city is a chapter on her own. If you want to write your first successful page you must become an integral piece of the city. If you want to travel around the city as if you are a citizen of Prague there is only one way to accomplish it with Van hire. Booking a mini van is like putting a bedrock for a journey without fatigue and limits Just a click at www.vanrental24.com is enough to open a new window for a different point of view about travelling. This fully equipped mini van will become your fellow- traveller throughout your stay in the city of Prague. 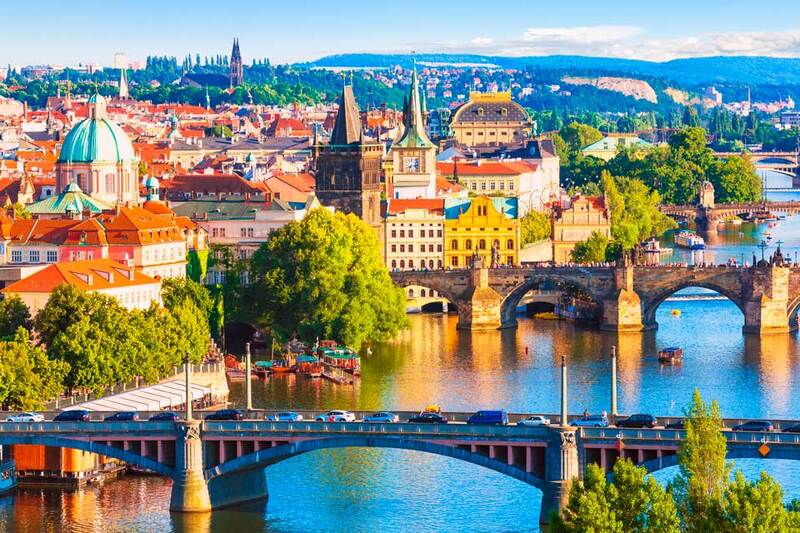 It is true that 12 seat minivan rentals simplifies significantly your sightseeing tour to the city, but you need to dedicate the largest part of your first day to the Castle of Prague. The castle holds the first place at the Guinness book of record for its physical magnitude, but its history goes way back it was the residency for Holy Romans emperors Eighteen buildings from churches halls and towers along with eight magnificent gardens create a maze from which you don't want to be found. Petrin hill is a unique part of Prague that offers a spectacular view. It has many different symbolisms and played a special role in different historical periods. From the 14th century Hunger Wall to the Strahov Monastery, Stefanik Observatory and a memorial to the victims of the totalitarian Communist regime. On the Old time square it stands proudly the world famous landmark of Prague the Astronomical Clock a masterpiece of medieval architecture. Its figures including the symbols of the zodiac it's an image you will never forget. Next Stop is the Lenon Wall it is connected with modern revolution and protest influenced by the strong Personality of John Lenon and his band. If you want to see the real face of Prague a walk to the Wencelas square is a must see it is the classic location for peaceful demonstrations. The old new Synagogue is active since 1270 and remains intact. It managed even to survive the Nazi invasion in Prague.Its Gothic design is simply and frucal, but with a magical way still provokes awe to the visitors. For a concentrated knowledge of Prague's history go to the national museum. If you want a pure taste of Prague's culture, visit Charles Bridge and the Mucha museum where art nouveau magnitude is everywhere. After a day at the historical centre of Prague, where your eyes are filled with images the perfect ending is to go to the black light theater of Prague. It is a theatrical performance that uses a black box theater and black light. 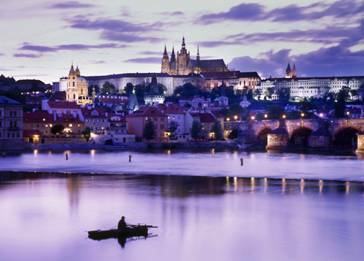 It can be found in many places around the world but Prague has adopted it. Minivan rentals gives you the perfect chance for a daily escape to Karlovy vary get advantage of its amazing comfort, enjoy the beautiful landscape and reach the unique spa city. It certainly has the best spa treatments that is why it attracts celebrities from all over the world. Karlovy vary is also known for its international film center and the popular liqueur Karlovarska Bacherovka.